WASHINGTON — US President Donald Trump ran for the presidency as a disrupter. When it comes to his managing the US-Israel relationship, he has been precisely that. Throughout 2018, Trump made a series of decisions that have had vast implications for Israel’s future — for its conflict with the Palestinians, for its efforts to thwart Iran’s quest to obtain a nuclear weapon and spread its influence throughout the region. And, throughout it all, he has put Israel in the center of the news, and made it a focal point of his administration. In typical Trumpian fashion, the president made the last year one of upheaval and controversy. Here are the five ways that he upended US-Israel relations in 2018. In May, Trump followed through on his commitment to move the US embassy from Tel Aviv to Jerusalem. The move was warmly praised by Prime Minister Benjamin Netanyahu (he compared Trump to King Cyrus) and widely castigated by the Palestinians and much of the international community. Palestinian Authority President Mahmoud Abbas said the new embassy amounted to a “new settlement,” as he refused to meet with any Trump officials, arguing that, by recognizing Jerusalem as Israel’s capital, they had forfeited their right to act as honest mediators in the conflict. “With this step, the US administration has cancelled its role in the peace process and has insulted the world, the Palestinian people and the Arab and the Islamic nation and it has created incitement and instability,” said PA spokesman Nabil Abu Rdeineh at the time. 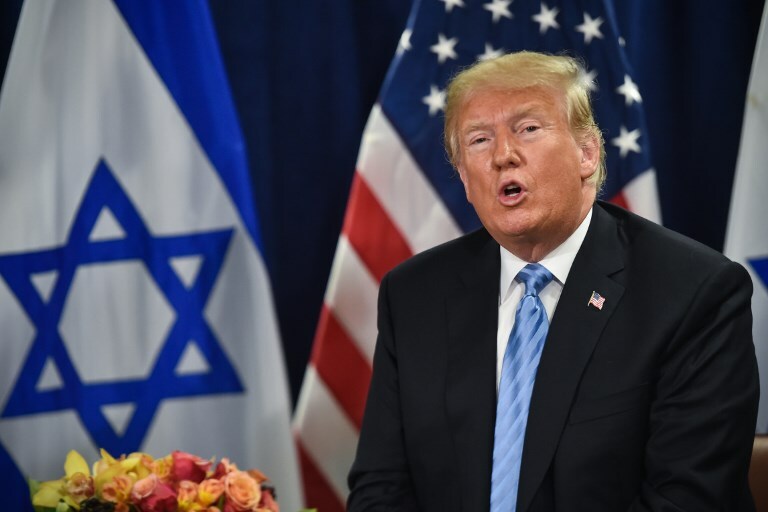 But while the move effectively ended the US-Palestinian relationship, it was seen in Israel as the crown jewel of a close bond forged between Trump and Netanyahu. The limits of that bond, however, were later tested by Trump’s decision to pull troops out of Syria (see below), when the Israeli leader was accused of selling out Israel’s security interests for a symbolic gesture. The new embassy hasn’t only shifted US-Israel ties, but has also affected Israel’s relationship with other countries. Israel has touted the embassy relocation as the first of many, with a minister even planning a diplomatic compound in the capital for foreign missions. A number of capitals have since made moves toward bringing their embassies to Jerusalem, especially Latin American countries. According to analysts, at least some of this is borne out of a desire to cozy up to Trump, but it’s also meant a possible flourishing of ties between Israel and Central and South America. The relationship between Netanyahu and Barack Obama famously hit rock bottom after the US and five other world powers forged a nuclear deal with Iran. During the 2016 campaign, Trump both promised to scrap the deal and enforce it vigorously. In May, he finally did what Netanyahu had long wanted: he pulled the United States out of the landmark pact. Iran, in response, vowed to remain a party to the deal, as did its other signatories — England, France, Germany, Russia and China. The Trump administration said it would seek to forge another agreement with the Islamic Republic that addressed the president’s core complaints, including the deal’s sunset provisions, it’s not dealing with ballistic missile testing, and not allowing access to Iran’s military sites. As of now, the Trump White House does not appear on the brink of reaching a new accord. While Israel remains a partisan issue in Washington — perhaps even more so than ever — the removal of the nuclear deal also removed what had been a major point of contention between Washington and Jerusalem. In September, Trump went on a crusade against the Palestinian Authority. As the Palestinians continued to refuse to meet with his team tasked with seeking an Israeli-Palestinian peace deal, Trump began cutting vast sums of US aid to Palestinian organizations and UN groups that support Palestinians. He withdrew US funds from UNRWA, the UN agency for Palestinian refugees, the Palestinian Authority, the East Jerusalem hospital network, and Israeli-Palestinian co-existence programs. This pressure campaign came as the White House was planning to release its highly anticipated peace plan. While some Israeli officials privately warned the moves would only exacerbate tensions — in public at least — Israeli government figures praised the move. Israel, which long argued that UNRWA was perpetuating the Palestinians’ refugee status rather than solving it, now had the US on its side. Conditioning Palestinian funding on coming to the table for peace negotiations, while not threatening Israeli military aid, was a huge victory for Netanyahu. Earlier this month, Trump rattled Jerusalem by announcing that he would pull all US troops from Syria. US soldiers had been leading the coalition against the Islamic State terror group, while also thwarting Iran from entrenching itself in the battered country. Israel has repeatedly warned in recent years that Iran is seeking to establish a military presence in Syria, where it is fighting alongside Russia and its Lebanese proxy Hezbollah on behalf of Syrian President Bashar Assad. Israeli officials have said that America’s absence would open the door for Tehran to create a so-called “land bridge” from Iran, through Iraq and Syria, into Lebanon and to the Mediterranean Sea. The decision to pull troops out is seen as the first point of contention between Washington and Jerusalem since Trump took office, and has served to cement the idea that he views the relationship as transactional. Trump has several times hinted at a “price” Israel will have to pay for him moving the embassy. While he was likely referring to negotiations with the Palestinians, his mention of the embassy when asked about the decision to remove troops from Syria shows it may well be that Israel’s pays for the move in more ways than one. Throughout 2018, Trump’s peace team — led by his son-in-law and senior adviser Jared Kushner and special envoy Jason Greenblatt — has signaled that the publication of their proposal was imminent. There has been no indication of what the plan will entail; although Trump once said he preferred a two-state outcome. In recent months, officials have said the plan is “completed” but that it would be released “when the time was right,” making it the biggest elephant in a room full of them. But finding the right time seems to have eluded the Americans. Trump himself vowed on during the UN General Assembly that it would be unveiled by January. As of now, it seems unlikely that the White House will release plan with Israel heading into an election this spring, and many see a summer rollout as the earliest likely window. With the plan gathering dust, it remains one big question mark, with the potential of it one day upending not only the US-Israel relationship, but the broader Middle East. This entry was posted on December 30, 2018 at 8:37 AM and is filed under Uncategorized. You can subscribe via RSS 2.0 feed to this post's comments. You can skip to the end and leave a response. Pinging is currently not allowed.